Many people visit their primary care physicians when they experience troubling symptoms. However, certain conditions, such as allergies and asthma, warrant a trip to a highly qualified allergy doctor. A specialist in allergies and immunology can provide you with an accurate diagnosis and a treatment plan to effectively manage your symptoms. Continue reading to find out when you should visit an allergist. Seasonal allergy symptoms often mimic the symptoms of a cold. You might sneeze or cough often, for example, or you might notice that your eyes are itchy and red. 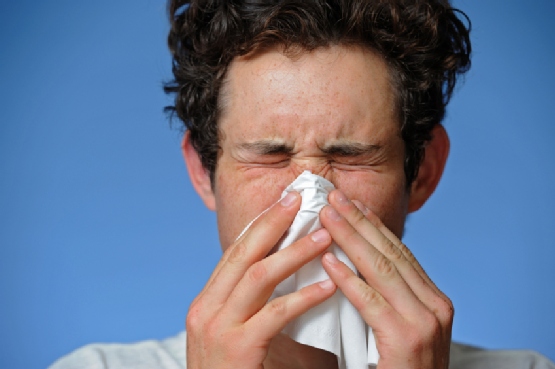 A runny or stuffy nose is also common with both colds and seasonal allergies. However, if your symptoms persist longer than the duration of a typical cold and seem to appear around the same time every year, it’s time to see an allergist. You should see an allergist promptly if you experience a new allergic reaction to a medication, insect sting, or food product. Allergy doctors also treat asthma patients. If you begin to experience any of the possible symptoms of asthma, such as chest tightness, shortness of breath, frequent coughing, or wheezing, schedule an appointment right away. If you’ve been living with allergies for a while, you may already use over-the-counter medications. However, if your symptoms cannot be easily controlled and interfere with your daily routine, it’s time to talk to an allergist about prescription medications and a better treatment plan. Additionally, it’s a good idea to see an allergy doctor if you frequently experience asthma attacks despite taking an asthma medication. The highly trained allergy doctors of Allergy & Asthma Specialists have been providing patients with the highest standards of care since 1989. Our community-oriented practice offers accurate allergy and asthma diagnoses and individually-tailored treatment plans. If you’re looking for an allergy doctor in the King of Prussia area, please call us at 1-800-86COUGH today.